The following is a list of prohibited items which spectators will not be allowed to bring to the tournament. 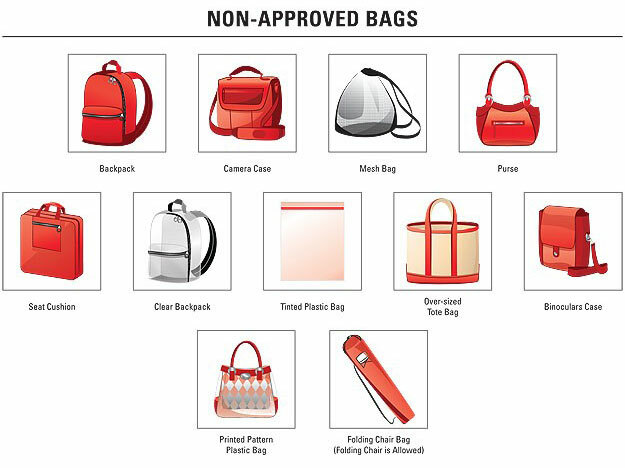 Specifically we ask that you review the updated bag policy, and only bring to the tournament grounds bags that meet the new criteria. All spectators to the Valspar Championship will pass through magnometers and/or will be wanded by tournament security and subject to search prior to entering the Tournament. Searches will be conducted either before boarding the shuttles at the College or at the entrance gates. Please review the lists below and leave any non-approved items in your car or at home. For additional information, please reference the PGA TOUR Prohibited Items list. Please also note the PGA TOUR Spectator Mobile Device Policy. ** Failure to follow the direction of Law Enforcement Officers, tournament security guards, gallery marshals, or tournament officials may result in ejection from the grounds or revocation of your tickets without refund. Please observe the rules & regulations noted above. For more information, please click here for more information from the PGA TOUR.